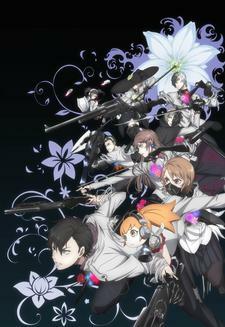 An information broadcast of the previously announced Caligula TV anime has released a PV and announced staff members. The anime adaptation based on a PS Vita game is slated for Spring 2018. Insert songs will feature rearranged anime version of the songs featured in the game. CD for 3 new IN Songs (produced for TV anime) by μ will be released on June 6. Visual look nice but the doubt is high on it actually being worth a watch. Pass until proven otherwise. I bought the game last year because of the cool character designs...and it turned out to be one of the worst Vita titles I've ever played lol. Highly doubt the anime could do it justice, but we'll see. I feel misled, this isn't about Emperor Caligula at all. Now that would be interesting could even fit in an actual imouto romance in there. I would have vastly preferred if this was an anime about the actual historical figure. Looks like something that doesn't interest me in the slightest. No thanks. The synopsis of this anime is kind of interesting and how school is "the most radiant time in a person's life." kind of shed light on how Japanese people actually feel about their real life. But regarding the PV, the first half was fine but the other half gives me the feeling that this is going to be bad. Anyway, I might give it a try if I see some positive reviews after it airs. Okay the staff seems decent but the PV doesn't really have a good vibe to it. Maybe I'll give it some shot though. I am getting this serious Ousama Game vibes all over it, Gotta avoid this now. I'm going to keep low expectations for this show. Game adaptations of recent years have been hit or misses. Kinda curious to see how they director will make this work though. Well, it's unlikely that this will be another "hey, kids! Look what pretty little girls and boys are here and what nice things they do! Buy our game!" But I was also told by many that it is a clone of the Persona from own authors. The staff seem fine, but the PV gave me that kind of "we're so edgy" kind of anime vibe. I think I am just going to wait for the receptions & reviews after this one aired. That "Source: Game" scares me.